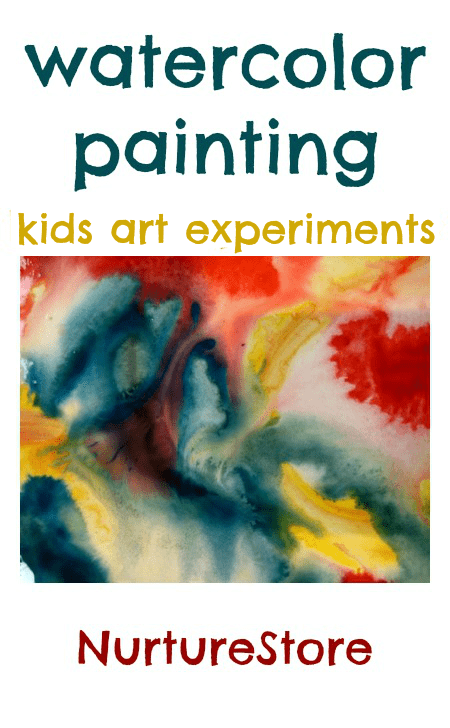 Here’s a favourite idea from our kids painting archive, introducing children to watercolour painting and trying out a whole new – and rather exciting! – way of using it. Watercolour painting can produce beautiful effects, and the technique we’re trying today uses a wet on wet technique for really exciting movement of the paint. 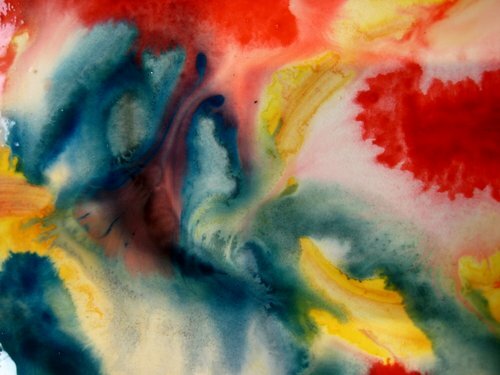 The basic wet on wet technique is just what it sounds – using wet waterpaints on a paper which is also wet. We used a wide paint brush to sweep plenty of water over our paper and then added watercolour paint with a smaller brush. The children dabbed, made wide strokes and swirled the watercolour paints and watched the magic happen. As the wet watercolour paint hits the already wet surface it spreads and swirls and creates interactive pictures the children can add to but can’t completely control. Paint magic! 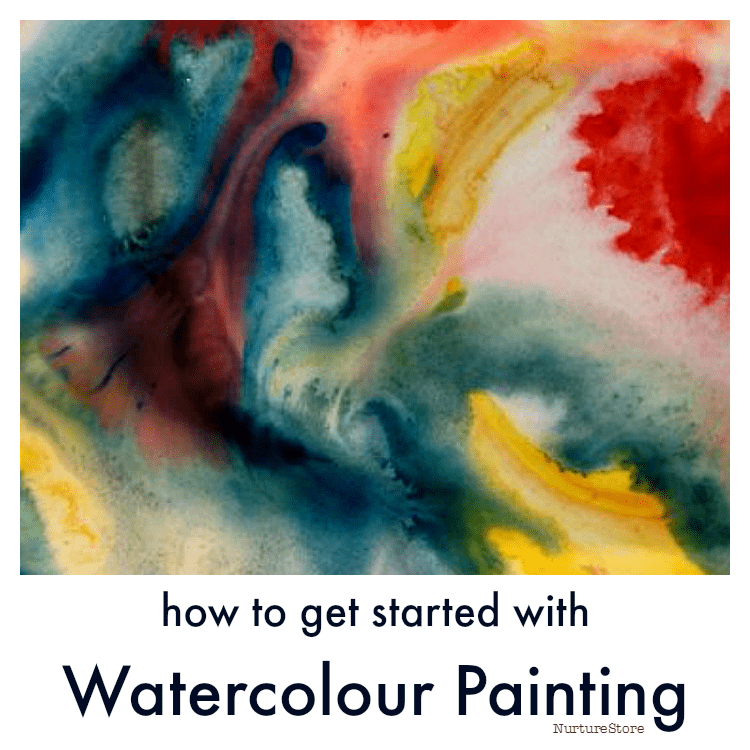 Have you tried this watercolour painting technique with your children? Beautiful – personally I find it completely addictive! Wow, looks cool! 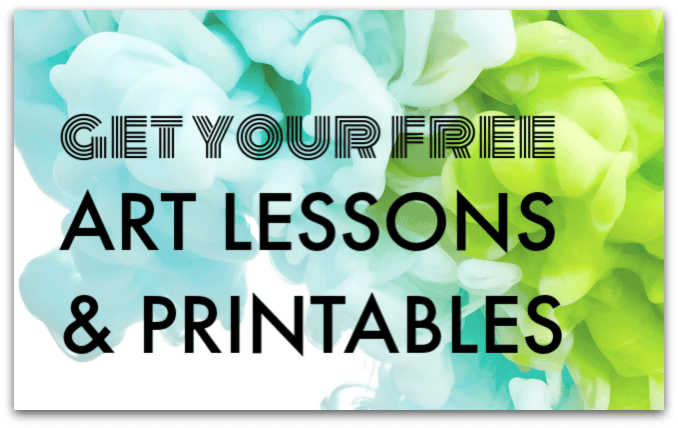 Will be adding this to our homeschool art class this year! Thanks for sharing. Wow! That is so cool. I love it!!! I have a 9 year old girl and she loves to do art and so when she saw it she loved it. That is an incredible idea! I love this technique and we are definitely putting it on our to do list. Thanks so much for your brilliance as always! I love watching the colors run, really beautiful! Very nice! What brand of watercolour paints do you use? The colours look very vibrant. Mia – they are just a supermarket own brand set (from Sainsbury’s) but you’re right they do have a really good range of colours. Great fun ~ do you use heavy watercolor paper? Hi Kat, no we didn’t – just some computer printer-type paper that we always have available for the kids to use for their projects. I love water color painting, such a wonderful thing to do. I just got a wonderful new set, can’t wait to paint! Very cool – I need to try more crafty things with my girls. So fun! We’re huge fans, though, of professional-quality artist’s watercolor paper. Printer paper works, of course, but watercolor paper is really a wholly different experience. I’m going to have to try that with my kids. Thanks for sharing!! And they turned out so pretty. What a great idea. 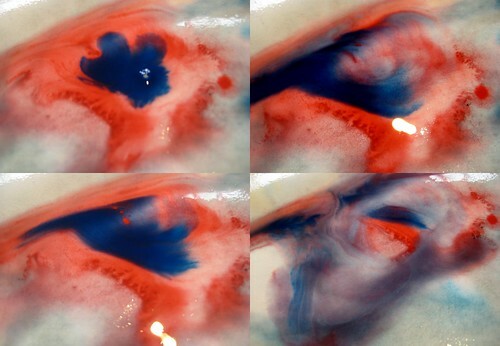 gorgeous results and sounds like a great painting project! thanks so much for sharing on Craft Schooling sunday! This is a MUST DO for me. How fun to see the colors seeping and swirling like that. My girls would love it. largely missing in schools today. We also offer a field guide of activities for parents and children to explore together in the home, at the museum, and outdoors. Hope to see you there! I love this idea!! Thanks so much for sharing.